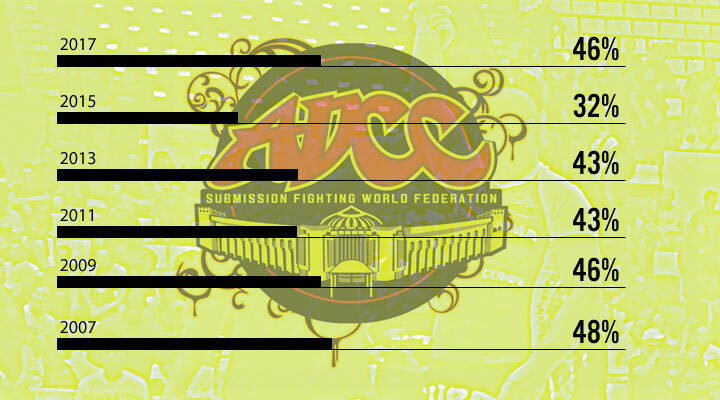 The latest edition of the ADCC – the world’s most recognized submission wrestling/no-gi jiu jitsu event just went by (see results here), a tournament historically ruled by Brazilian jiu jitsu stylists, with a few pockets of successful freestyle wrestlers such as Mark Kerr, Kareem Barchlov or Sasha Savko, as well as judo/catch wrestlers like Sanae Kikuta and Mark Robinson. 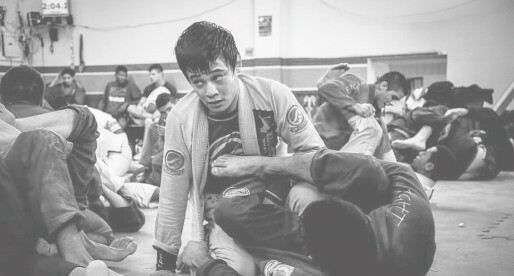 Although most successful competitors in ADCC’s of years past have come from a gi style background, the no-gi variety of jiu jitsu has gained plenty of steam in recent times – particularly through submission only pro events such as Polaris and EBI. 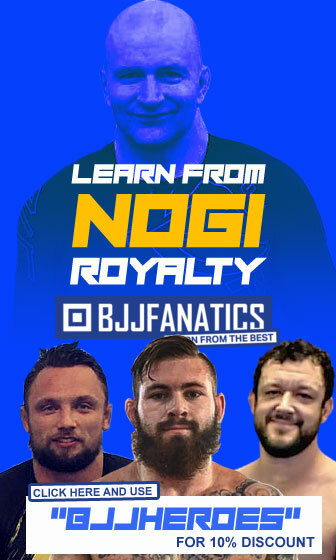 As such, what was once a tournament where we (by in large) saw IBJJF style players competing without the gi, we now see a much more varied event with quite a few very specific set of training methods and styles being prepared ‘year round’ by no-gi specialists, giving this year’s tournament a very interesting undertone. 2015 brought us the lowest numbers of submissions in 10 years, much of this ‘problem’ was attributed to the strong emphasis many competitors gave to wrestling. This year brought us healthier numbers of submissions, placing the men’s division back on to the mid 40’s percentage wise, a sign that game plans are changing? Maybe not so much – as you will see below on the decisions paragraph of this article. What did change was a handful of younger athletes coming to play, fresh blood with a higher submission hunting style game which helped raise these figures. These same percentages did lower back down below the 40% line (37% to be precise) when looking through the female division. 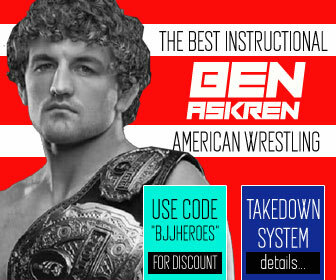 Another aspect of the game that has developed tremendously thanks to the submission only movement has been the heel-hook, a submission that gained enormous popularity under this setting. This welcoming of the heel-hook has propelled the technique to reach levels of efficiency never once reached on previous ADCC tournaments, being 2017’s second most successfully utilised finishing move – only one submission short of levelling with the 1st (the RNC). 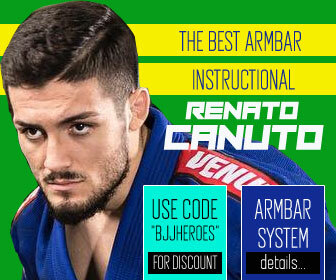 This unprecedented rise dethroned the armbar from the #2 spot of last year, being also the first time a submission overturns the armbar from the top 2 ADCC subs. 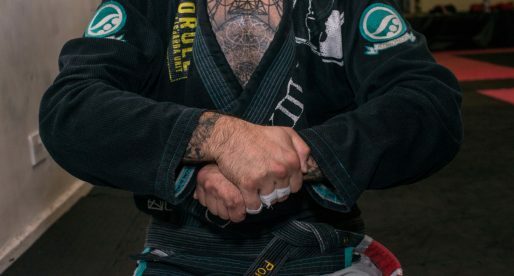 As mentioned previously the importance of the no-gi and sub-only aspects of grappling have gathered plenty of momentum over the past 3 years which caused a big impact in the ADCC. 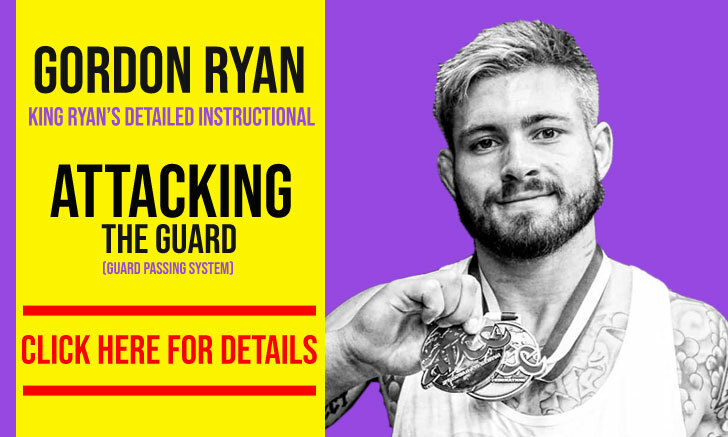 A product of this enviroment, Gordon Ryan was arguably the biggest story of the tournament. At 22 years of age Ryan conquered the most talent dense division in the ADCC (88 kg) and then went on to reach a 2nd place in the open weight tournament – this time submitting everyone on his way to the final. Although Ryan’s submission ratio was one of the highest in the ADCC at 71%, two athletes* had higher rates than the Danaher Death Squad prodigy. They were the Aussie rising star – Craig Jones and Beatriz Mesquita, who submitted every single opponent they beat. Jones was fairly unknown to mainstream BJJ followers until the big tournament where he submitted one of the event’s favorites – 5x IBJJF world champion Leandro Lo and veteran grappler Murilo Santana in his weight class, also beating Chael Sonnen in the absolute div by submission. Beatriz Mesquita on the other hand was already regarded as one of the heavy favorites to win the show, but the fashion with which she did was truly spectacular. Bia subbed all her opponents with an aggressive style for which she is known, Mesquita used chokes, armbars and leglocks. A complete game! * Only athletes with 3 or more wins were considered for this exercise. 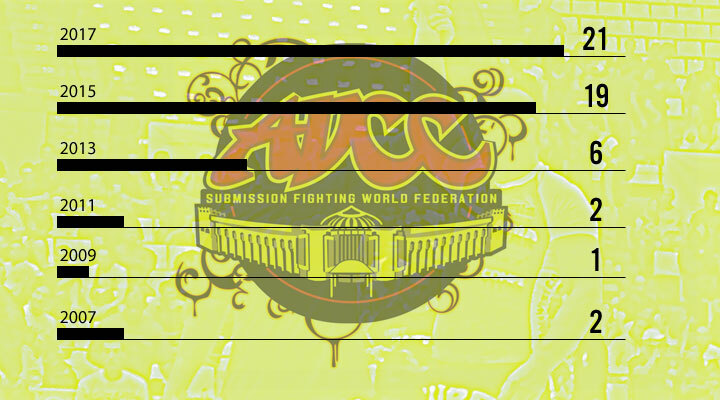 One of the most interesting facts of this ADCC was that although submission rates were much higher than in the promotion’s 2015 event, decision have also risen – a very unusual stat when looking back at all of our previous analysis based articles. Indeed the battle for that crucial 1st point of the match was one of the hardest barriers to break in 2017 which related to the public in long, draining and dragging defensive wrestling battles. 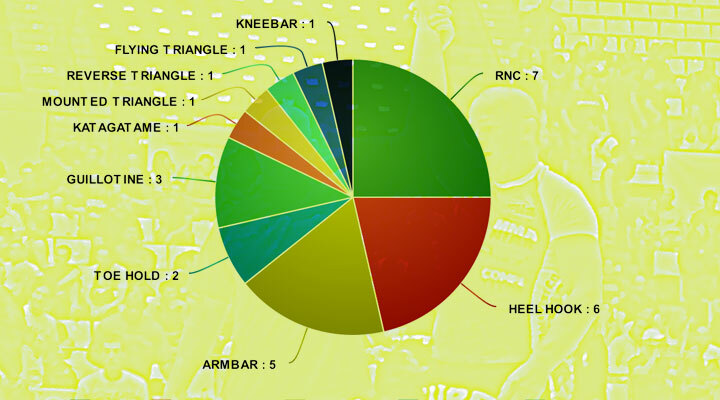 Those battles, however, are a big part of competitive sports and in particular the ADCC style of scoring where each point has to be very decisively conquered. The struggle for the first point showed its importance when going through the numbers: Those who scored 1st won 99% of the times, with Geo Martinez being the only competitor who rebounded from a losing scoreboard in 2017. Two athletes managed to score back after being scored on (Mackenzie Dern and Geo Martinez again), but couldn’t regain control of the match and ended up on the losing column. 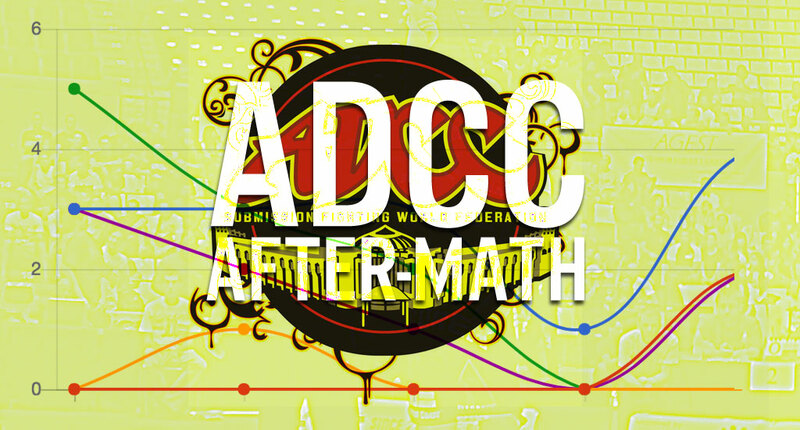 And there we have it, the ADCC 2017 by the numbers. Any stats you would like to see on this or other past events, feel free to drop us your suggestion through our Facebook Page. 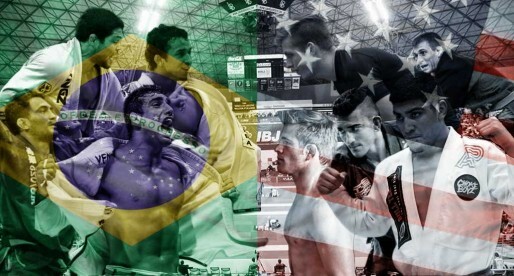 Craig Jones and Vagner Rocha deserve BJJHero profiles imo.